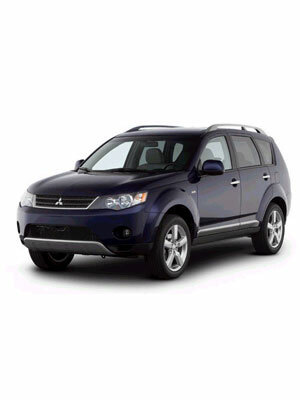 Rhinoplasty did wonders for the 2007 Mitsubishi Outlander. In the old version, the iconic three-diamond badge sits on what appears to be a snubbed rendering of a nose. What it did was to compromise much of the flattery sharp lines gained by the SUV's body by stealing undue attention. The Outlander look wicked, all right, but it didin't seem able to breathe well with that awkward stip of metal outfront. The new nose on the new Outlander is much sharper, fresher, and in better character. Because it fits spot-on with the rest of the body, and doesn't call to much attention to itself, you are allowed to see the Outlander for what it really is, by far the sleekiest mid-sized SUV in the Japanese stable out there.